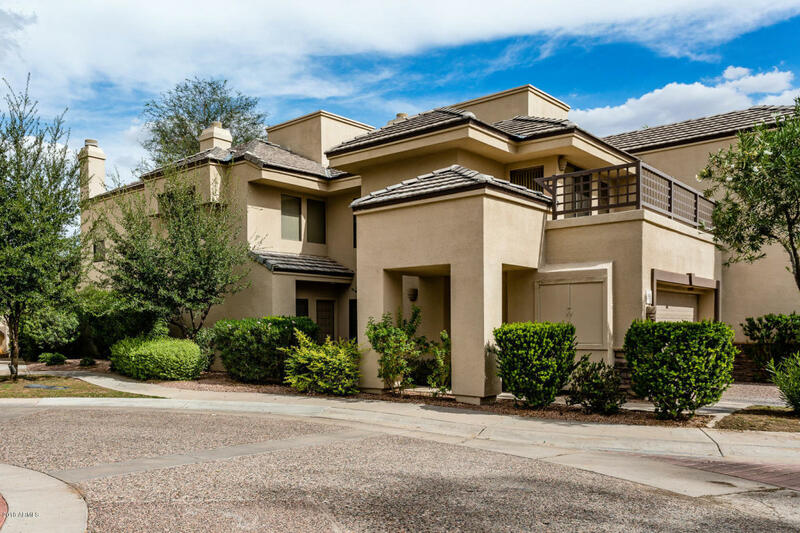 7272 E Gainey Ranch Road #58, Scottsdale, AZ.| MLS# 5834049 | White Rock Realty is now serving the Greater Phoenix area as well as Mesa, Lake Havasu City, Parker, and Quartzsite Arizona. We represent Buyer and Sellers alike in Residential, Land and Commercial transactions. ** On the Golf Course with Mountain and Lake Views! Only Golf Course Lot for sale in guard gated community. Light and Bright floorplan with kitchen open to large family overlooking the golf course. 2 big Master Suites, Master with two way fireplace to the bathroom and private balconies on each master PLUS LOFT! Home has so many designer touches throughout. Kitchen with stainless steel appliances and granite tops. Home has new AC, new dishwasher and new washer and dryer. Luxury resort style living in Gainey Ranch walking distance to Gainey Village shops and restaurants! Community Club House, Fitness Center, Pool/Spa, tennis courts and Guard Gated. You don't want to miss this gorgeous end unit on the golf course! HOA fee includes Estate Clubhouse fitness center, pool and spa.